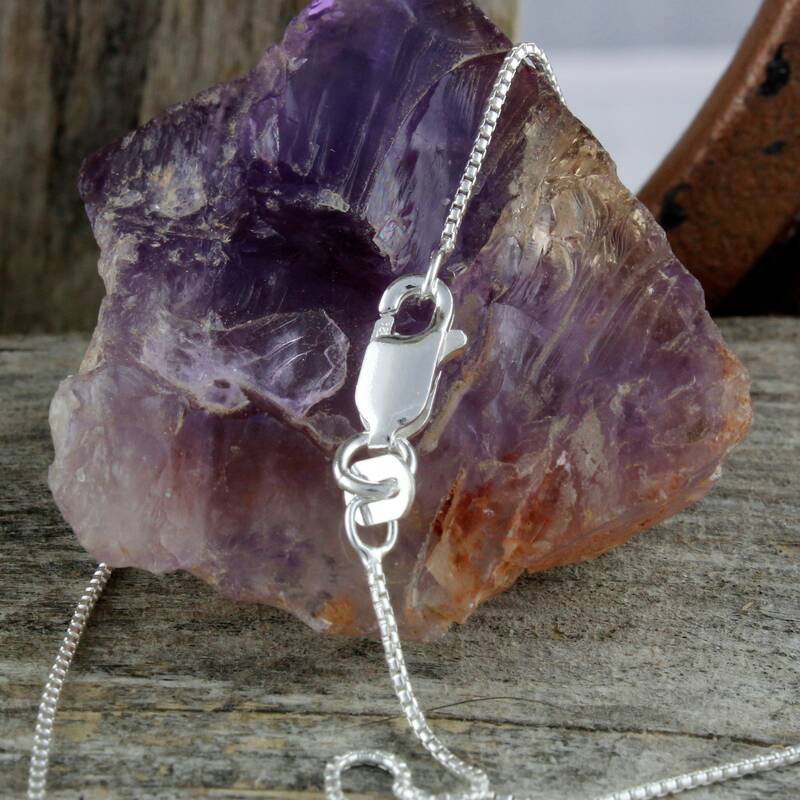 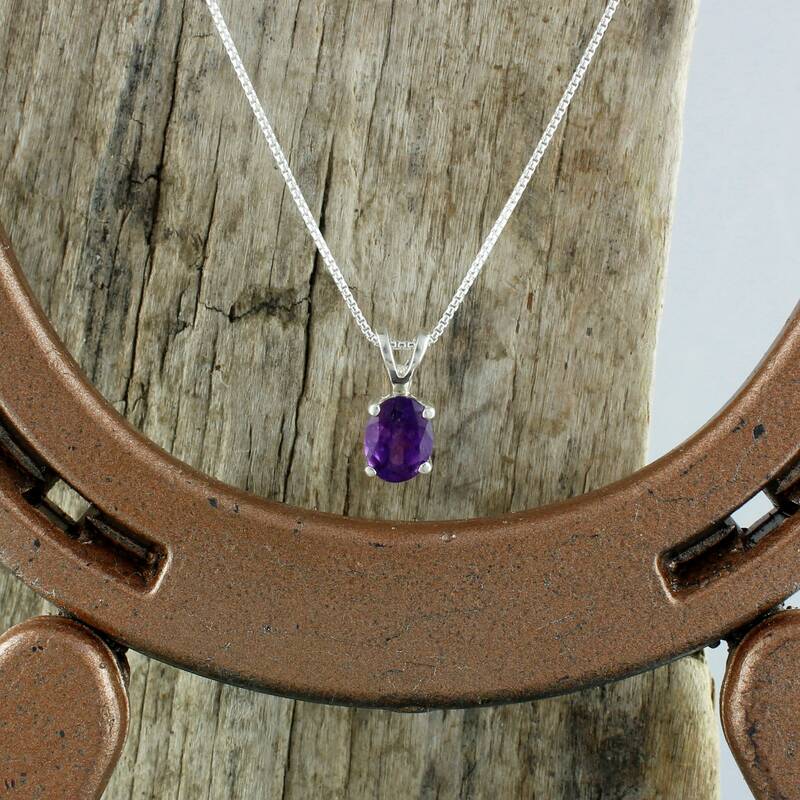 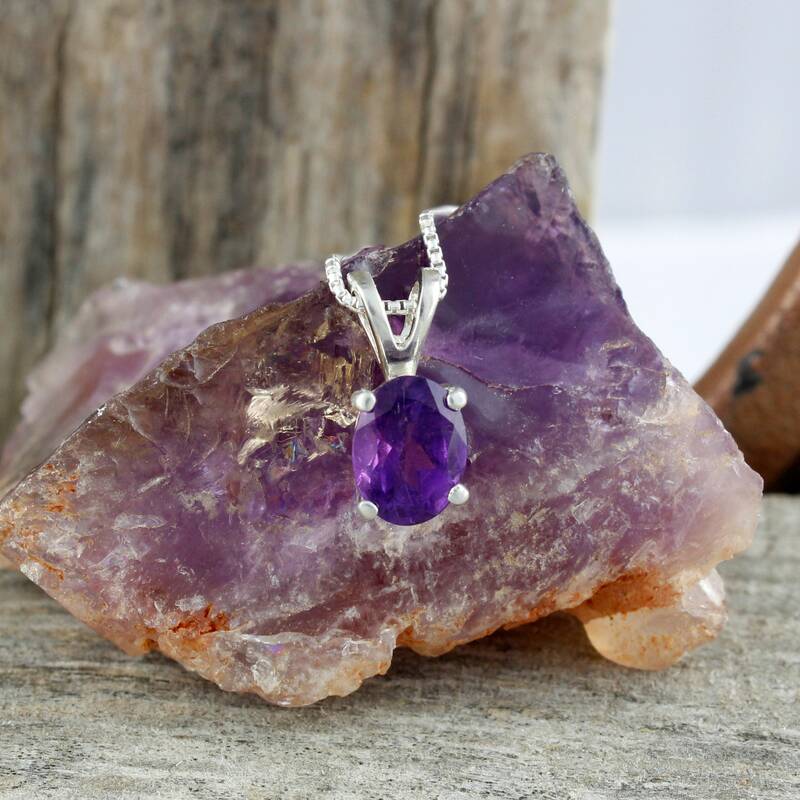 Natural Amethyst Pendant - Sterling Silver Pendant Necklace - Purple Amethyst Necklace: This exquisite sterling silver pendant features a natural Amethyst stone. 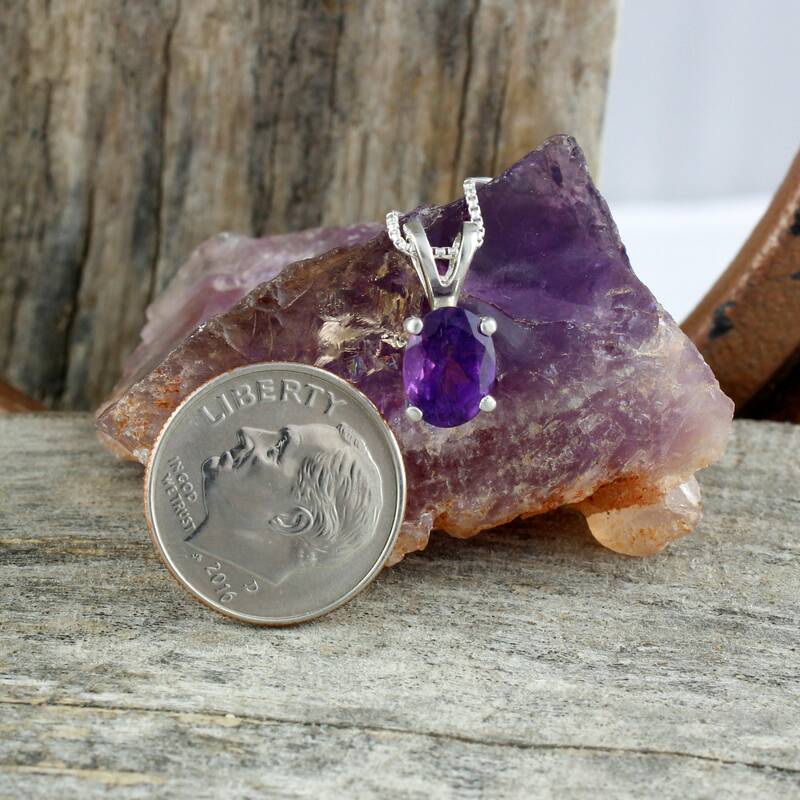 The Amethyst gemstone is 8mm x 6mm (5/16" x 1/4) and weighs 1.2 cts.. 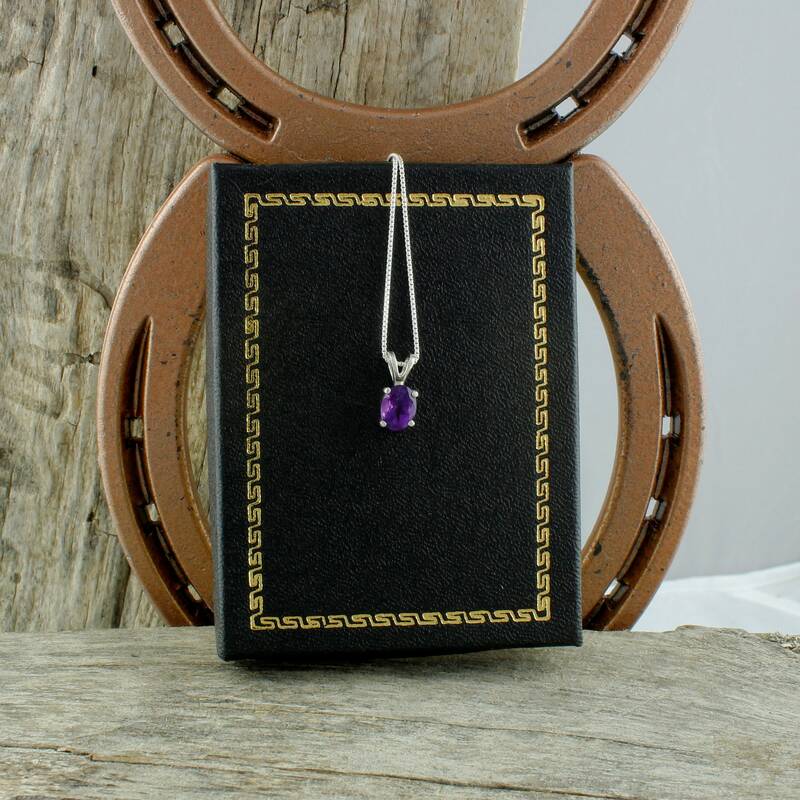 The oval stone and sterling silver setting are suspended from the included, complimentary 18" sterling silver rounded box chain. 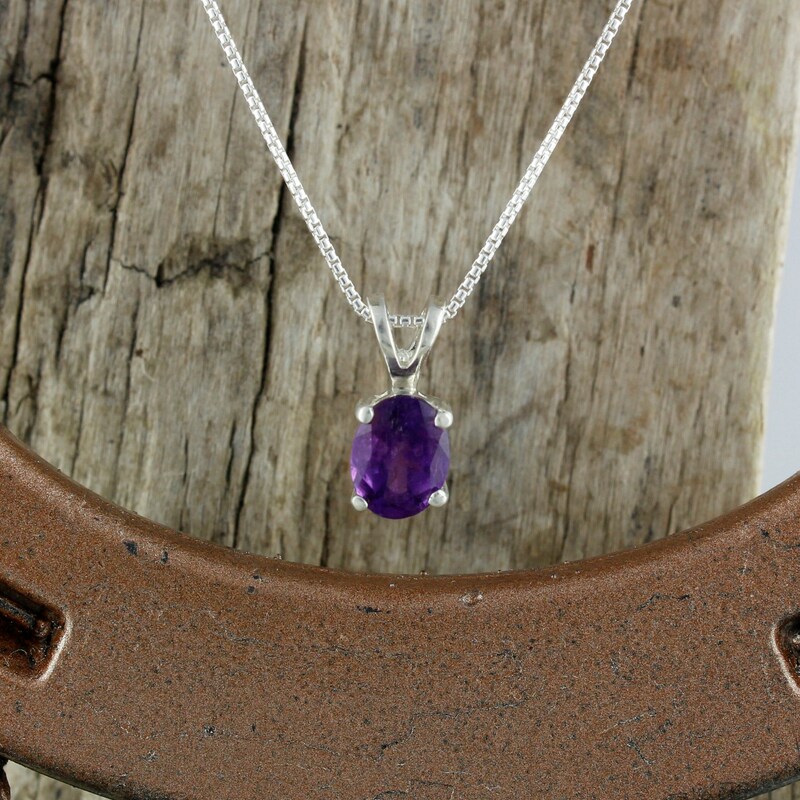 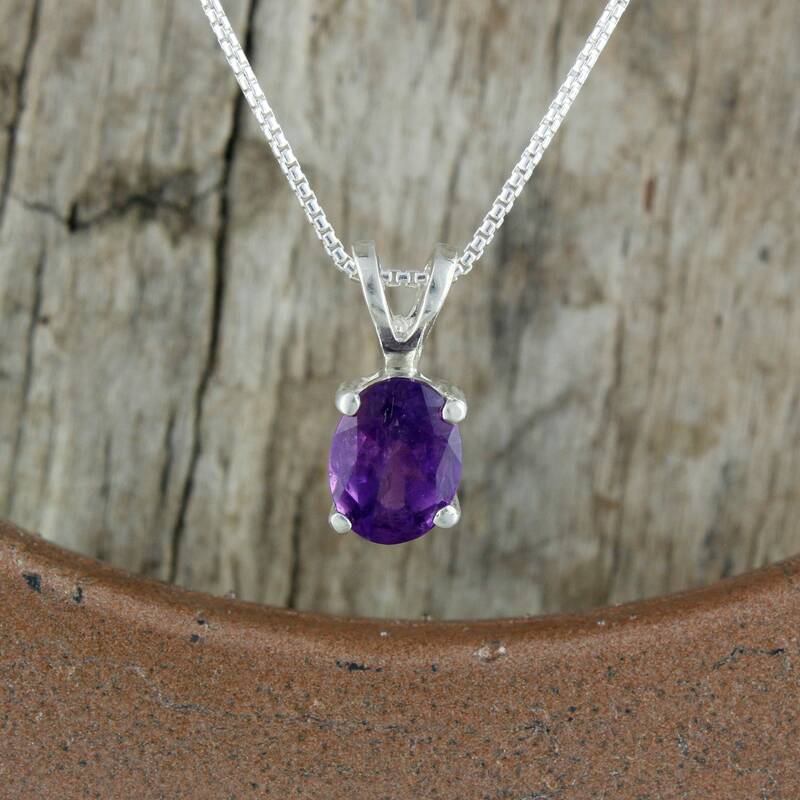 The deep purple color of the stone is very sought after in February's birthstone! 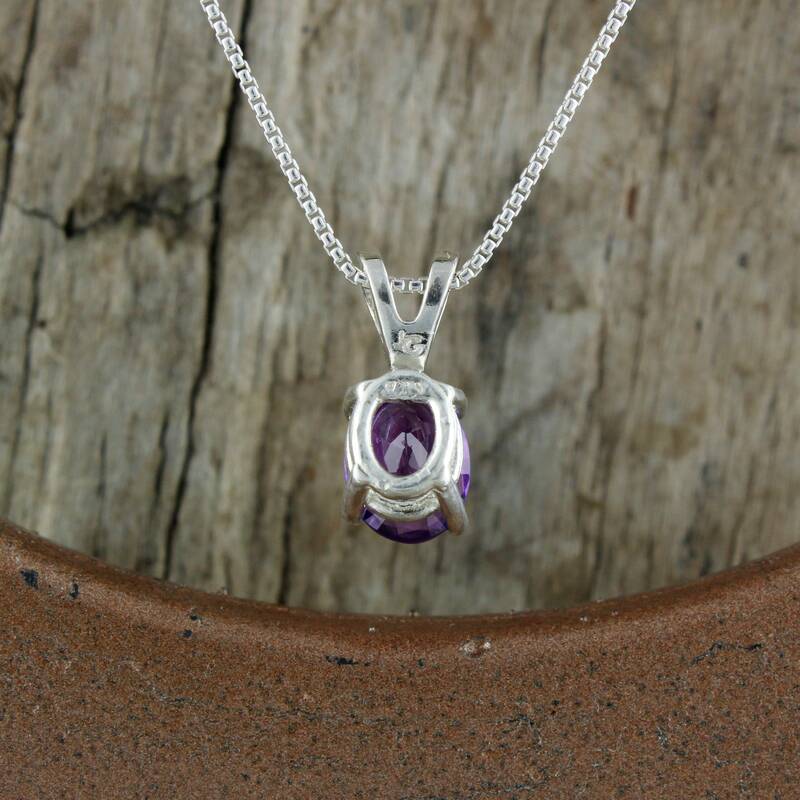 This is an eye-catching piece of jewelry at a very affordable price! 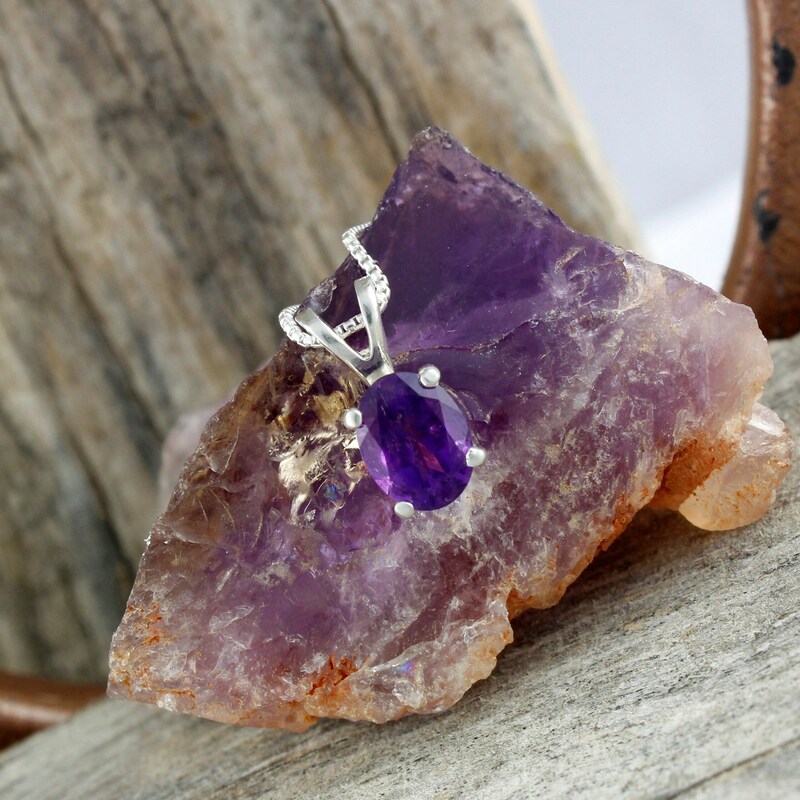 When paired with a pair of African Amethyst earrings it will make an exceptional gift for someone special! 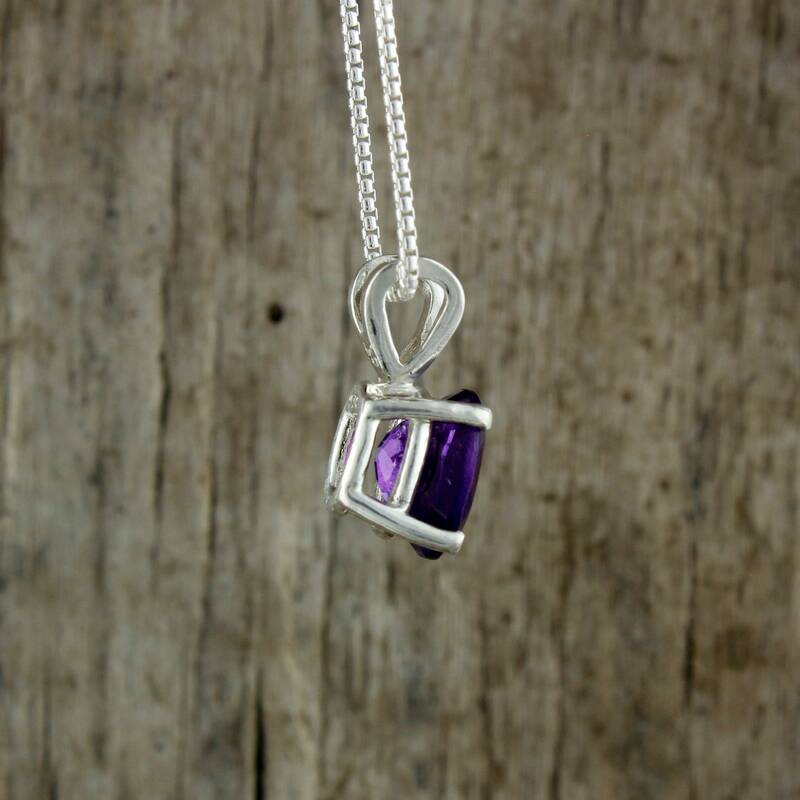 As with all our items, we will ship this pendant in a beautiful gift box for no extra charge!